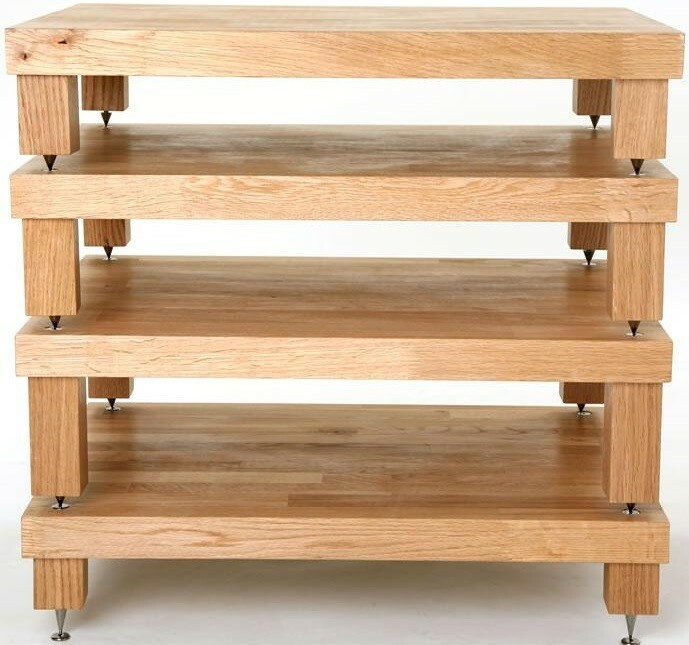 These shelves are 445W x 400D (mm), but we can also offer 595W x 400D (mm) or 612W x 500D (mm) by request - for any other configuration please e-mail us for a quote or call 0844 50 403 50. Earn 629 loyalty points when you order this item. 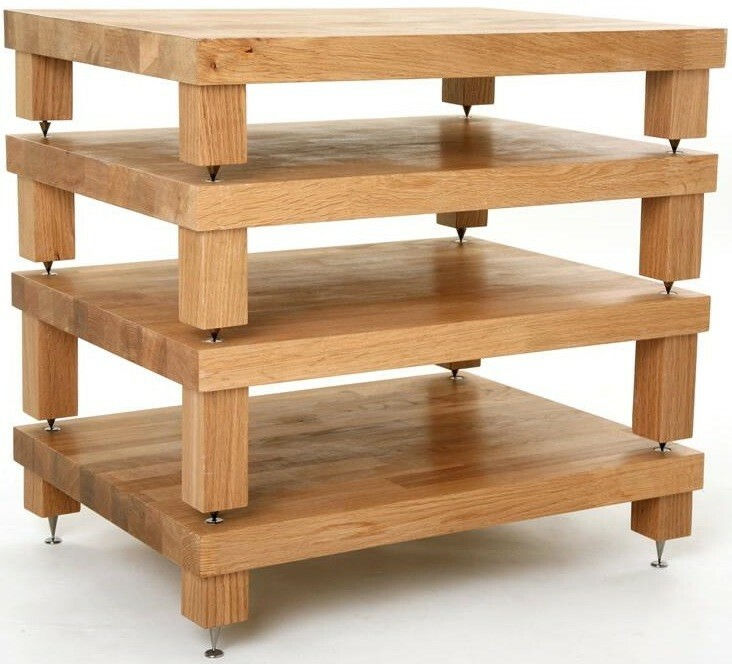 The Podium Reference 4 Shelf Hi-Fi Stand from Hi-Fi Racks is a premium reference hi-fi stand, providing a solid hardwood construction which is found right across the Hi-Fi Racks range. The Podium Reference is not only designed to look superb, but also to offer the best possible support for your equipment, with each level being isolated from the next, and a superb level of rigidity and build quality throughout. 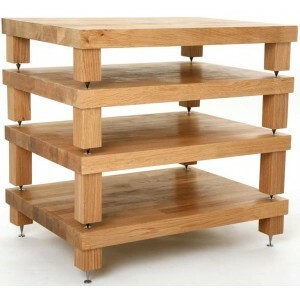 This 4 shelf stand consists of a base unit, a 200mm high shelf and 2x150mm high shelves. The 200mm high shelf is ideal for a power amplifier or AV receiver. Hand-made from a range of solid hardwoods, the Podium Reference stand oozes premium build quality and design. 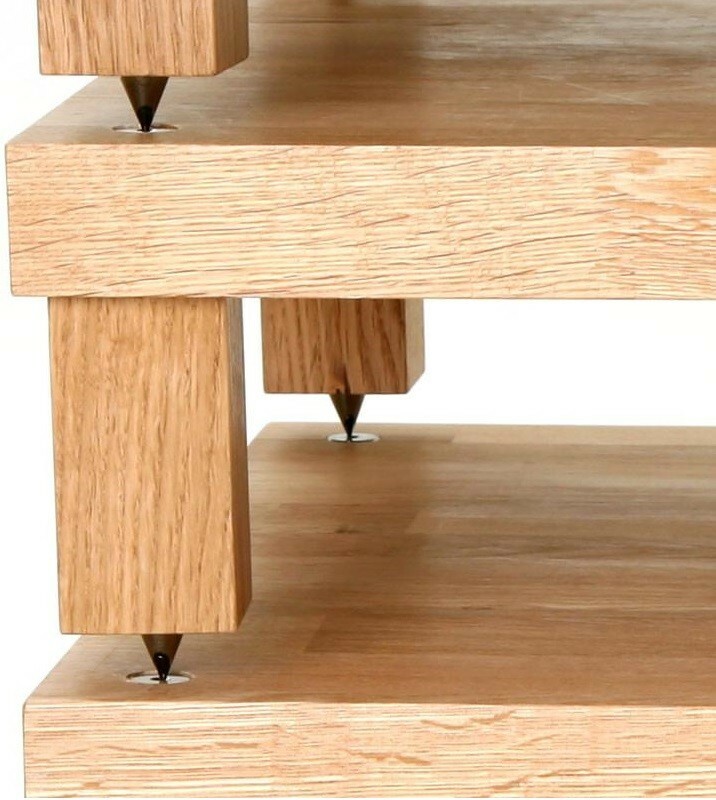 The stand's 40mm plinths provide both stiffness and stability, with each tier weighting more than 10kg, increasing the sturdiness and density of the rack as well as aiding in absorbing vibration. Podium Reference featuers a modular design, allowing each tier to be seamlessly integrated with the next, and swapped around at will. The legs are removable, allowing you to fit the rack completely around your system, allowing you to update, upgrade and adapt your rack to your ever-changing hi-fi or AV system. I purchased the rack to accommodate my units because I couldn't find a standard 'non-Hi-Fi' rack that would fit them. All I wanted was a good looking rack, I wasn't expecting any improvement in sound at all. I was totally wrong. It was a huge improvement. The sound was fantastic before, I had nothing to complain about, but now with the units on the rack, it is something else. Incredible improvement, something that DACs and cables couldn't do for me when I tried them. Note that I don't have a record player or a CD player that would cause a lot of vibrations, only two amps and a network player. It's a part of my system now, not a piece of furniture.